The US Green Card through Investments (EB-5 Program) is currently one of the most popular ways to immigrate to the United States. Compared to other immigration categories, the EB-5 category for foreign investors has many advantages. The EB-5 program allows you to get a green card relatively quickly (the whole process takes 1.5-2 years, sometimes less) and is open to all foreigners. Moreover, the green card is received not only by the investor but also by his family members: spouses and unmarried children under the age of 21. It should be noted that other categories of immigration are either associated with a more complex and lengthy process or suggest conditions that are practically impracticable for many who want to move to the United States for permanent residence. Marriage with a US citizen or marriage with the owner of a permanent green card. This category does not automatically suit those foreign nationals who already have a spouse. By the way, even if you have other relatives in the United States, the process of applying for a residence permit can be delayed for 10-15 years. Political asylum. This category is provided only for those foreigners who were persecuted by the state on political or religious grounds or on a national basis in their homeland. Accordingly, this category fits very little. Employment. Obtaining a green card in this category can take from 3 to 7 years. This is one of the most difficult areas of US immigration law, which not only involves overcoming many pitfalls but also requires an employer who is willing to sponsor you with a green card in your specialty. The last of the listed immigration categories is divided into several subcategories, one of which is the EB-5 Foreign Investor Program. The EB-5 program was founded by the US Congress in 1990. The purpose of the program is to attract foreign investment to create new jobs. 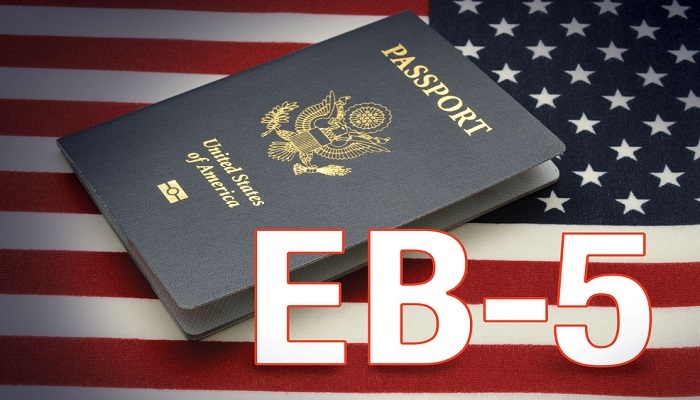 There are two options for the EB-5 Program: standard and pilot. Under the terms of the so-called Standard Program EB-5, a foreign citizen must invest $ 1 million in the US economy (or 500 thousand if the project is in the zone of target employment) and create at least 10 jobs as a result of the implementation of their investment project. In this case, the investor should be directly involved in the management of the enterprise. This version of the EB-5 Program is suitable for a very small number of investors. Despite the attractiveness of the very idea of ​​opening a profitable business in the United States and in addition to getting a green card, in practice, this is associated with great difficulties. 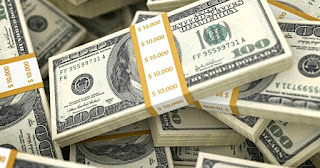 The main obstacle is that a foreign investor must be in the United States in order to manage the project (you will hardly find it appropriate to trust someone with your million dollars). And for this, you need to maintain student or work status, which is associated with additional risks and costs for the services of lawyers. A little later, in 1992, the US Congress established the Pilot Version of the EB-5 Program. The pilot option allows investors to pool capital and invest in large projects through the EB-5 Regional Centers. Each center must be licensed by the US Immigration Service. Typically, the projects of the centers are located in the zones of target employment, so the amount of investment is reduced to 500 thousand. The responsibility for ensuring that the project complies with the terms of the EB-5 Program is borne by the Regional Center. Responsibility for the implementation of the project and the creation of the planned number of jobs is the responsibility of the developer. At the same time, the developer also finances the project at his own expense and through a bank loan for construction. Thus, all parties are equally interested in the successful completion of the project (investors, the Regional Center, the bank and the developer) and this is one of the reasons for the popularity of the Pilot Program EB-5. What are the benefits of investing in Regional Centers? You need to invest only 500 thousand dollars, instead of 1 million. Since the Regional Center controls your investment, you do not need to actively participate in the activities of the enterprise. The Regional Center will do that for you. If you decide to invest in a regular enterprise, you need to create (or, in the case of buying a loss-making enterprise, save) 10 jobs for citizens and permanent residents of the United States. Only for projects of the Regional Centers, “indirect” workplaces can be added to directly created (“real”) jobs. Since your employees need to buy food, clothes, use certain services for themselves and family members, each newly created “real” workplace indirectly creates additional jobs in the region (“indirect” jobs). Economists have developed special tables that demonstrate the approximate number of indirect jobs that will be created in a particular region for one real work as a result of the implementation of a particular project. Thus, while the requirement of creating 10 jobs remains in force, this can be achieved by combining real and indirect jobs. Investing through the Regional Center has a more predictable result and, in fact, less risky for the investor. The most important thing is to choose a reliable Center that has already completed several investment projects and can provide evidence that investors did not receive a waiver from the Immigration Service due to the fault of the Regional Center (that is, due to the project’s inconsistency with the EB-5 Program or unsuccessful project implementation). It is also important that even in case of refusal the Regional Center will return your 500 thousand to you, and you will only lose the administrative fee. If you invest in your own project, then, as in any business, you risk losing all the money if the project "does not go." Today, 95% of foreign investors invest in projects of the Regional Centers. The investor independently or with the help of an immigration lawyer chooses a certain Regional Center and a specific investment project. 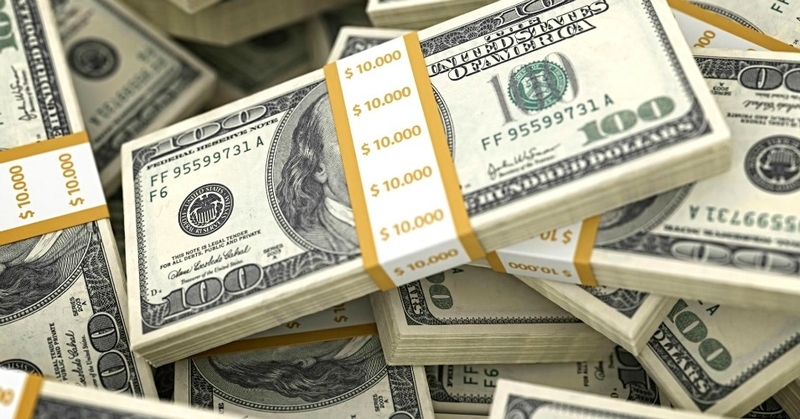 The investor is provided with confidential information regarding the investment project, including a business plan, economic calculations, licenses, a founding partnership agreement with a limited liability company (LimitedPartnershipAgreement), an agreement with a bank for escrow account maintenance (EscrowAgreement), etc. 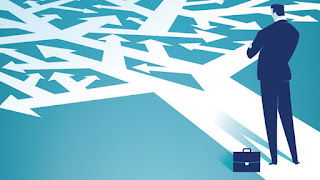 After careful consideration of the documentation, the investor makes a decision and officially enters into the number of partners of a new commercial enterprise, and also collects the necessary documents for filing the Petition of a foreign entrepreneur (I-526, Petition by AlienEntrepreneur). An investor deposits $ 500,000 plus the Regional Center fee (an average of $ 50,000) in an escrow account of the Regional Center. All project documents are immediately sent to your immigration lawyer and, theoretically, you can submit your first petition on the same day. Upon expiration of the first (conditional) green card, the Regional Center provides all documents for submission to the permanent green card. That is why the reliability of the Regional Center plays a decisive role - how responsibly the staff of the center is to control the project and how competently they collect documents confirming the investment process and the fact that jobs have been created depends on whether you get a permanent green card. After 5 years have passed since your funds were spent on the project, you receive the invested capital back. Every year during these 5 years you receive an investment return of 1% (i.e. 5,000). The low percentage of income on capital is due to the fact that investments under the EB-5 Program suggest that in exchange for a green card you are ready to accept a lower percentage compared to the profitability of other investment assets in the market. Thus, the program is consistent with the goals of its creation: the implementation of socially useful projects at the expense of cheaper borrowed funds for developers and the creation of new jobs. 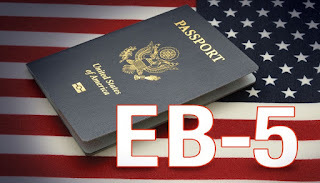 The procedure for obtaining a green card under the EB-5 Program consists of three stages. You must first submit and receive a positive response to the so-called Foreign Entrepreneur Petition (Form I-526, Petition by AlienEntrepreneur). Approval of this petition depends on the reliability of the Regional Center, the investment project and the experience of the immigration lawyer who will help you prepare all the documents in support of the petition). Consideration of the first stage usually takes 8-12 months. Next, you need to change your current non-immigration status to permanent resident status by submitting an application for change of status to the US Immigration Service (Form I-485 ApplicationtoRegisterPermanentResidenceorAdjustStatus) - if you are in the USA. If you are outside the United States, you need to apply for an immigration visa at the US Consulate in your country of residence. You will receive the green card immediately upon arrival in America. The first green card is issued for 2 years ("temporary" or "conditional" green card). The application process for a green card takes about 6-8 months. 90 days before the expiration of the conditional green card, you will need to apply for the removal of restrictions (Form I-829 Petition by anEntrepreneurtoRemoveConditions). After approval of this petition, you and your family members will receive a permanent green card for 10 years. This green card can either be renewed an unlimited number of times, or you can change the status of permanent resident to the status of a US citizen. Application for citizenship can be submitted after 4 years and 9 months from the date of receipt of the first (conditional) green card. The institution of shareholder agreements is emerging in Russia. The founders sign them among themselves at a very early stage and thus give each other rights regarding their shares in certain situations. In the US, shareholder agreements at the stage of incorporation of a startup are not practiced (although something similar is introduced by investors at a later stage and entitles investors to the founders). Instead of a shareholder agreement in the United States, the protection of the project is determined in the contract for the acquisition of a share directly between each founder and company. Thus, if one of the founders leaves the project, then the principle of vesting works, and the company has the right to buy back part of its shares at the original (usually close to nominal) price. How much she can buy out depends on the specific conditions of the westing and on how much the founder has worked in the project. If the founder wants to sell his share or its part to a third party, the right of the first refusal works, and the company can force it to sell its share to the company instead of a third party at the price offered for it by a third party. In fact, there is no big difference between these approaches. But instead of trying to persuade all shareholders to approve a single contract that governs their relationship, here it seems to me that a simpler mechanism is used - a standard contract for each founder with the company. The new shareholder, therefore, should not be included in the general contract and will not know the conditions of the vesting, for example, or its acceleration by other shareholders. Shares in LLC are distributed by percent between founders. In order to introduce a new shareholder, the share of current shareholders has to be redistributed. Current shareholders share their shares with a newcomer, and there are often agreements on the non-dilution of some shareholders who will not have to share, with others who take over the blur. 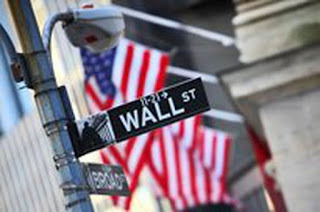 In corporations that are the most used legal entities for startups in the United States, shares are determined by the number of shares issued to a shareholder in relation to all shares issued by a company. The company's board of directors, its governing body, may additionally issue shares to both new and current shareholders, but only within shares authorized for issue in the company's charter (Certificate of Incorporation or Articles of Incorporation, depending on the state). If there are not enough authorized shares and you need to increase their number, then a majority vote of shareholders is required. One of the easiest ways that start-up investors in the United States are protected against blurring is the restriction of authorized shares in the charter to the number of shares currently required by the company. When it comes time to add a new investor, current shareholders vote, and the charter is rewritten with more shares and often with additional rights and privileges of shares for the new investor. In LLC, in general, different classes of shares are impossible, therefore purely corporate nuances are already beginning here. Thus, both ordinary shares (CommonStock) and preferred shares (PreferredStock) can be authorized by the charter of a US corporation. According to the convention, the founders and employees receive ordinary shares (or options to buy them), and investors - preferred ones. Each class of shares can then be divided into series, although it is much more typical to see different series of preferred shares than ordinary ones. Why do we need different classes and series of shares? The fact is that the company's charter can fix not only the number of shares of different classes and series but also their various rights and privileges. But the charter does not allow differentiation between shareholders of the same class. Accordingly, if investors entered into different periods of time have agreed with the company on different conditions, and everyone wants to fix their rights in the charter, then each subsequent investor has to issue a new series of preferred shares (from here Series A PreferredStock, Series B PreferredStock, and etc.). Those who are familiar with the practice of creating start-ups in Russia are asking the obvious question: why all these difficulties are different classes and series of actions and changes in the statute that need to be submitted to the state if investors can be fixed in the shareholder agreement instead of the charter? And here there is a small, but very important nuance - the rights enshrined in the shareholder agreement are contractual rights. Accordingly, if they are not respected, and the investor is suing the company, then at best he will receive compensation for damages to the extent that the investor can prove in court. If his rights are enshrined in the charter and they are not respected by the company, then the investor, who is suing because of this violation, is no longer asking for damages, but for canceling that transaction or canceling the action that violated his rights. Because of this potential risk, the likelihood that a company will violate the rights of shares specified in the charter is much less than the probability that only a contractual obligation will be violated. On this basis, Russian investors in start-up projects registered under US law should not avoid investing in preferred shares, but rather the opposite — insist on buying preferred shares with key rights reflected in the charter. The significant difference that I have noticed between investors in the United States and in Russia is manifested in the weight that investors attach to the risk of banal fraud on the part of the founders. Start-up investors in the United States realize that the probability of success of a startup is already so small, and the probability of losing all or most of their contribution is so high (start-ups are a very speculative area) that it’s simply meaningless to defend against insignificant risk. Russian investors, on the other hand, often spend a lot of time and effort on introducing mechanisms to control the company's operating activities, the founders and the company's cash flows. Of course, fraudsters are everywhere. But if the American investor has a low level of trust in the founders, and he is afraid that he will be “thrown”, he will simply not enter the project. After all, the founder on the collar will not build the next Facebook, Tesla or Amazon. Despite the somewhat tarnished image of the American dream, a tight tax regime and serious consequences that threaten to violate the US are not diminishing, and the green card continues to be the cherished dream of many people on the planet. 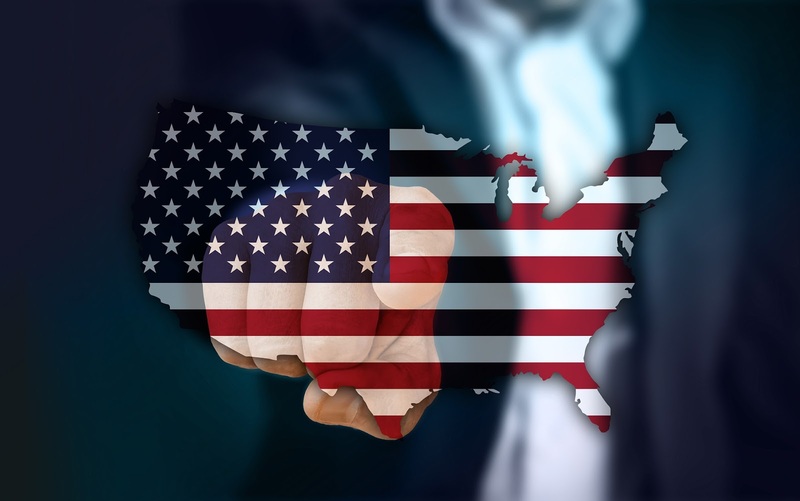 Those who were interested in the question of possible ways to obtain a residence permit in America know that one of the prepared options that immigration attorneys offer to potential clients at the first consultation is an EB5 investment visa. For a busy person who does not want to drastically change their way of life and part with sources of income at home, the attractiveness of EB5 is obvious: it is a passive investment that does not require investor efforts in running a business in the United States. The idea of ​​buying and selling green cards is not new: the EB5 program appeared back in 1990 when the US Congress aimed to stimulate the economy, spur foreign investment, create additional jobs, and EB5 seemed to be an excellent mechanism to achieve it. Until 2008, it was not very popular, but after the collapse of the markets and the banking crisis, it became very popular as a saving straw for developers suffocating from the lack of financing. The program really works. It is safe to say that the construction boom of recent years, which has engulfed megalopolises like New York, Miami, Los Angeles, is not the least of America's responsibility for affordable foreign investment, through which the most ambitious projects are implemented. For a million dollars invested in a new commercial enterprise and created 10 jobs, a foreign investor is rewarded with the opportunity to quickly become a permanent resident of the United States, beating a huge number of years of waiting for people. The level of investment is reduced to five hundred thousand if the project is located in a territory that is particularly in need of attracting new jobs (in this case, as a rule, this is a deaf province and economically lagging areas of the country). Equity must be acquired legally, and the investment cannot be guaranteed but must be at risk. According to approximate estimates, since 2012, through such investments, about $ 8.7 billion has flowed into the American economy. The annual quota for EB5 is 10 thousand applications, about 90% of which are now accounted for by investors from Asia, where the process of attracting potential customers is put on a bigfoot. Echelons of representatives of real estate companies, who estimated the possibilities of practically free EB5 capital, are constantly moving east to China and Vietnam. In such marketing, even relatives of President Trump, the Kouchner family, who were very successful in real estate development, were noticed. Jared Kushner’s sister, the president’s son-in-law, recently personally visited Beijing and advertised a potential investor audience to a New Jersey construction project, which again attracted attention to the program from the press and the legislative branch of government. Russia, although not leading in terms of the number of EB5 investments, is also not avoided by the concern of project owners. Their representatives, often in a team with lawyers specializing in the processing of an investment visa, regularly visit Moscow and the regions in search of those who want to obtain a relatively cheap green card in America. Presentations, conferences, advertising brochures - lawyers and developers willingly spend considerable money on all this marketing. But a series of scandals that erupted over the past few years around the EB5 industry exposed the shortcomings of the current system. The largest of these is associated with the Vermont project Jay Peak, which has long been considered the "gold standard", an exemplary example of the effect of the investment program and enjoyed a high degree of trust from immigration lawyers. Jay Peak was patronized by Vermont Governor Peter Shumlin and Senator Patrick Leahy, talking about the project in the press and promoting it at various events. The governor even personally appeared in a promotional video, where he assured investors that Jay Peak had been successfully audited. The project turned out to be a pyramid. The thread that triggered the investigation was a complaint from an investor, whose share was suddenly converted into debt without an agreement with him. This car dealer from London proved to be a competent person, having shown miracles of perseverance in searching for information and analyzing the current situation. About $ 200 million owned by the same foreign investors have disappeared. Urgently organized checks revealed that Jay Peak’s bookkeeping was conducted negligently, without proper control by state supervisors, and much of the money was used for the personal needs of the owners. One of them, a businessman from Miami, Ariel Quiros, according to the charges, bought a plane and real estate for investors' money. The prospect of depositors receiving immigration status, which was the main purpose of their participation in the project, was put at risk. The project itself was in bankruptcy proceedings and could have been buried under a mountain of unpaid bills if a competent trusted manager had not been appointed by a Florida court. Various individuals, organizations and even the state of Vermont, who, like an avalanche, covered with lawsuits, were involved in the outbreak of scandal. Particularly noteworthy is the story of the investment company Raymond James, which recently agreed to put an end to litigation by paying the plaintiffs $ 150 million for servicing the accounts with which fraudulent operations were conducted. The settlement was reached after the battles that broke out in the federal court of South Florida, where a group of investors, represented by a team of experienced lawyers, attacked the position of a financial company. Despite the fact that the role of “Raymond James” in this case was limited (the company did not participate in advertising the project, attracting capital and did not have direct contact with investors), the plaintiffs insisted that she entered into a criminal conspiracy with Jay Peak co-owner Ariel Quiros , and that the fact of this conspiracy made it possible for him to build a financial pyramid of the Ponzi type. “Cherry on the cake” was certainly served by the fact that the manager of the Raymond James office in Florida was Kviros's former son-in-law, Joel Burstein, who also became the target of the suit. By order of the judge, a special fund of $ 25 million was established, from which all thirteen law firms participating in the case will be paid due to fees. Along the way, it turned out that some immigration attorneys who sent their clients to Jay Peak received a “kickback” of $ 25,000 each from the project owners. By itself, this fact did not shock anyone, since lawyers had been whispering about EB5 commissions for a long time, and there was even a certain presumption that a lawyer, besides the fee paid by a client for visa support, had the right to apply for “encouragement” from the project. In 2015, the Securities Commission harshly tightened a whole group of EB5 lawyers with fines and penalties, qualifying them as illegal brokerage. In addition to violations of federal laws requiring that any person engaged in attracting investments for EB5 be registered as a broker, the problem in this scenario is the abuse of client confidence in light of the apparent conflict of interest. This is especially acute in cases (and their absolute majority) when the client is not aware of the financial relationship between his lawyer and the company with which the client enters into a partnership. The role of lawyers in the design of EB5 has recently become the object of close attention. Recently, the already mentioned federal court in South Florida filed a lawsuit by a Russian investor against Mona Shah, a well-known and successful lawyer and speaker in the EB5 field at numerous international conferences. The essence of the claim is the waste of investment funds held in the trust account of her company, or rather, the unauthorized transfer of the entire amount of the investment by the Mona Shah to the account of the beneficiary company without the permission of the depositor and prior to receiving a positive decision from the immigration authority. The case is a Russian-speaking lawyer from Brooklyn, Vladislav Syrota, whose firm has collaborated with the company Mona Shah. The facts presented in the lawsuit raise many questions to the competence and powers of the fiduciary persons and should make potential EB5 investors alert. A few months earlier, Tet and Victoria Chen, father and daughter (the latter is a lawyer), were searched in California for being accused of laundering their clients' money, as well as stealing more than $ 50 million of their investments. Federal prosecutors petitioned for the confiscation of 9 real estate properties owned by Chen and affiliated structures for an amount close to $ 30 million. An enterprising family worked smoothly between the United States and China, actively “recruiting” investors. The list of their clients even included people on the lists of dangerous criminals who were wanted in the country and escaped from justice. In 2016, another California lawyer, Emilio Francisco, was brought to justice for deceiving investors. According to the accusation made by the Securities Commission, Francisco appropriated more than $ 9.5 million, which he sent to his own business and for personal expenses, instead of the cafes and homes promised to investors for the care of the elderly. Prior to that, in 2014, another California attorney, Justin Lee, was accused of embezzling investor funds. Investments that were intended to be placed in a biofuel plant in Texas, he willfully led into a mining enterprise in the Philippines. The American Immigration Lawyers Association (AILA) is seriously concerned about the state of affairs in EB5. 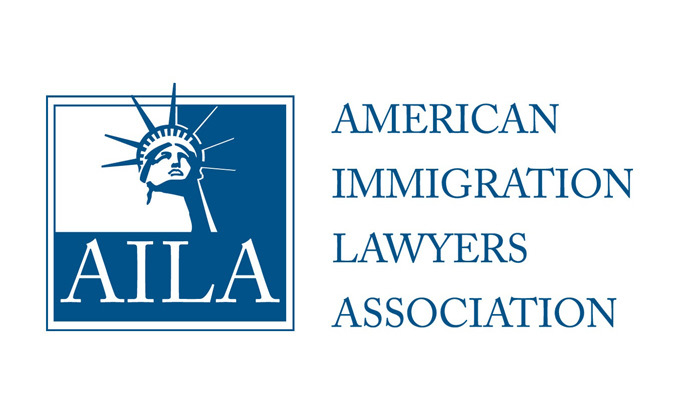 At various specialized forums and publications for immigration lawyers, the emphasis is placed on discussing issues of deception, pyramids, and possible conflicts of interest. A memorandum was recently published, in which lawyers were urged to be more careful and strictly follow the rules of ethics, which would be beneficial and seductive if there were no options under which a conflict of interest is possible. A classic example of such a scenario is the possession of a lawyer of a regional center / EB5 project, in which a client’s investment is placed, and simultaneous legal support of a transaction involving fiduciary duties. Of course, the client itself must be vigilant and feel free to ask questions, no matter how awkward they may appear. It is difficult to consider reinsurance to obtain an additional legal opinion or even control of the process by an independent lawyer. The cost of such a service may in the future seem very insignificant compared to the fees of lawyers working at the stage of judicial proceedings. It should also be extremely critical to the proposals of persons with limited experience in organizing EB5 projects, even if they come from close friends or relatives. The EB5 fever that has engulfed the US in the last 8-9 years is associated with some people living in America with the ability to easily improve their affairs and get the maximum profit with the help of someone else's, easily accessible capital. Unfortunately, the lack of clear agreements, a carefully planned structure, legal support, and strict control often leads to a loss of funds. Court registers abound in cases of this kind, and participation in them further convinces us that transactions on trust here are unacceptable. In 2016, the Florida authorities arrested a certain Igor Tikhonov on charges of embezzling more than $ 500,000 from a Russian citizen Sergey Danilchenko under the pretext of placing an EB5 investment. Tikhonov’s scheme of work was simple: under the name of Harry, on behalf of his company Alcor Service, registered in South Florida, placed ads of various concierge services on the Internet, including receiving a green card through EB5 investments. A resident of Sochi, Danilchenko, hoping to relocate to the United States and treat his sick child, transferred the company more than $ 500,000 in exchange for promises of a green card and 60% of the profits from managing real estate, into which Tikhonov allegedly intended to put the capital of his victim. In response to a request for corporate documents confirming the fact of purchase, Danilchenko received a pile of postcards. The scammer transferred all the money to a personal account. The investor, in this case, was able to achieve the intervention of criminal justice, but the proceedings of this kind can take years. The list of such cases can be continued. Weak control mechanisms, coupled with the temptation to make quick money, create fertile ground for fraud. Legislators are well aware of the costs and adverse effects of the EB5 program. There are discussions in Congress about the complete abolition of the program, as well as its reform. The most irreconcilable position is occupied by Democratic Senator from California Dian Feinstein. She insists that it is not for America to sell citizenship, but her voice is in the absolute minority. Once having tasted the charms and amenities of EB5, it will be difficult for America to abandon attractive and affordable foreign investment. The most likely is a compromise option in which the minimum amount of investment will be increased and control tightened. In the meantime, during the transition period, the fate of investors wishing to use EB5 at the old price depends on their own vigilance and awareness. America does not lack talented and honest lawyers, in whose competent hands the investment program can be an excellent strategy for the client. Today, most of the financial market is an investment. For some, investments have become an excellent alternative to bank deposits, since their use allows you to make substantial profits. Among foreign investments, American securities have become a common option. The United States is among the closed states regarding the granting of a residence permit. But despite this, the country's activity is aimed at attracting investors from other countries who have revealed a desire to place funds in companies whose activities take place in one of the regions. Investing involves a certain risk, but with proper placement of funds, a substantial profit is guaranteed. Among the types of investment should be distinguished investments in precious metals. Under the category of "protective" funds fall into funds that are invested in the company's gold. The price of this type of assets will increase with inflation when investments decline. Inflation negatively affects stock prices, but gold increases. Investing in Forex is popular today. It is worth knowing what is scalping trade12 before investing. Broker Trade12 offers favorable conditions for cooperation. Among the popular investments uses US real estate. This type of investment is profitable and reliable. But in practice, everything looks different. Investing is divided into two types. For example, you can purchase apartments for further residence or rental. These investments can not act as a 100% guarantee of regular income. Increasing the cost of investment will depend on the macroeconomic level and demographic indicators, which are at 4% throughout the year. It is impossible to assert the liquidity of such an investment. For the reason that their sale may take several years. Investing in a US bond has tremendous popularity. The acquisition of treasury securities is widely regarded as one of the options for secure transactions. In this case, the owner can receive income. It should also be noted that the bonds have 100% liquidity and at the same time, a preferential tax is possible. Among the disadvantages is a slight increase in cost. Acquisition of shares is among the varieties of investment, but there is no guarantee of the money spent when paying dividends. When acquiring securities it is possible to receive regular income. It is necessary to highlight a rather high indicator of liquidity of shares, which is approaching 100%, but this phenomenon is not typical for new companies. Increasing the value of shares will not be subject to taxation. Investments are becoming increasingly popular among our compatriots. They are an excellent alternative to bank deposits because they allow you to get much more income. 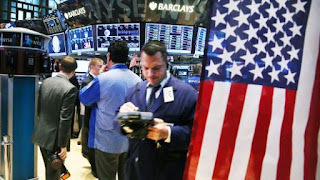 If we talk about foreign investment, then American securities are very popular. The US government offers various investment products, among which an important place is occupied by the EB-5 program. This program began to operate since 1990 and involves the provision of substantial benefits to investors who have decided to invest their own funds in the US economy. 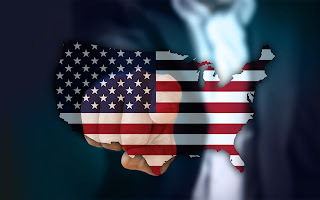 Although the United States is a fairly closed state when granting a residence permit, it still tries to attract investors from other countries who want to place their own funds in a company that operates in one of their regions. Of course, investing carries certain risks, however, the reward in the case of proper placement of funds will be appropriate. reduction of taxable income from investing. One type of investment in precious metals, mainly gold. Investing in gold and the companies that mine it is considered “defensive”. The value of such assets increases with inflation when the cost of other investments decreases. Inflation has a negative impact on stock prices, but gold in such situations is increasing. Of course, there is no guarantee that the invested funds may not remain, this also applies to regular income, however, depending on macroeconomic factors, a significant increase in value is possible. Often in investment portfolios for the purchase of gold is allocated about 5-15% of all funds. Certainly popular are real estate investments in the USA. Such investments are considered profitable and reliable. However, in practice, this is not always the case. Such investments are of two types - the house can be purchased in order to subsequently lease it or reside in it. Such an investment cannot guarantee 100% that you will receive a regular income. The increase in the cost of investment depends on demographic and macroeconomic indicators, the annual yield rarely exceeds 4%. Investing in real estate cannot be called liquid because its sale can take a year or a few years. Investing in US bonds is very popular. Thus, the purchase of treasury securities is considered one of the safest transactions. In this case, the owner receives a regular income, in addition, the bonds have 100 percent liquidity, and preferential taxation is also possible. Among the weaknesses - a limited increase in the cost, as a rule, small. Buying stocks is another type of investment in the United States. They do not guarantee the return of the money spent if companies pay dividends, then a regular income is possible when acquiring their securities. The liquidity of the shares is large enough, approaching 100%, but this does not apply to new companies. The increase in stock prices is not taxable. We looked at the most common types of investment in the United States. Having considered the features of each, you can make your choice and make your own portfolio of investments. From the abundance of existing in the US investment opportunities can easily get lost. In order not to be trapped, and with the maximum benefit to investing your money, read a brief description of the most common investment options. This will help you choose the most appropriate way to increase your capital. If you have a certain amount of money and want to multiply it, but do not understand the intricacies of investing, it is best to get advice from a financial planner. It will help you develop a common strategy, identify long-term investment goals, and chart out how to achieve these goals. A good specialist will not offer you ready-made investment solutions for the sake of a percentage of their sale. A deposit account can be easily and quickly opened in any bank. This way of investing does not give you much trouble: the bank itself can transfer part of your money on deposit every month. As for the efficiency of such an investment, it is not very high (charges on deposits are 1-3% per year). However, deposit accounts provide minimal risk of losing money and also allow you to quickly return the invested funds if necessary. Even if the bank "collapsed", which happens infrequently, the state guarantees a return on deposits of up to $ 250,000. Certificates of deposit are similar to ordinary deposit accounts, with the only difference that you undertake not to withdraw the money invested for a certain period of time. For example, a six-month certificate of deposit implies that you should not withdraw money within six months after depositing funds into your account. Since the bank receives an additional guarantee against early repayment, it usually offers slightly higher interest rates than simple deposit accounts. However, it is also not prohibited to withdraw money ahead of time, although there is a certain fine for this. As with conventional deposits, the risk of losing money is also minimal. Investing in government securities, until recently, was also safe. The US government spends more money than it receives in taxes, and therefore it is forced to borrow the missing funds. When you buy government securities, you lend your money to the state for a while. This money is not taxable, so this way of investing is more profitable than bank accounts. There are several types of government securities. Treasury bills have a short maturity of three, six, or twelve months. The maturity dates of treasury notes vary from 2 to 10 years. Long-term Treasury bonds have repayment periods of up to 30 years. Treasury securities can be purchased at branches of the Federal Reserve System. The interest on government bonds is 2% -5%. You can open an investment account in a bank, but this is not the best option. In most cases, it is better to apply to an investment fund. This will allow you to get higher percentages. An investment account is a fairly reliable means of accumulating capital since your money is sent by the fund to safe investment objects, such as government securities. However, compared with direct investment in Treasury securities, the reliability of funds is considered to be lower. There are thousands of mutual funds on the market. As the name implies, mutual funds work with cash contributed by a large number of investors. The fund directs this money to various investment objects, ensuring the diversification of deposits. Mutual funds are managed by a team of experts who seek to place the funds raised in the fund in the most profitable way, seeking maximum profit. Each mutual fund has its own investment direction. One fund can focus on Latin American companies, the other - on firms of new technologies. Accordingly, different funds have different degrees of deposit reliability. 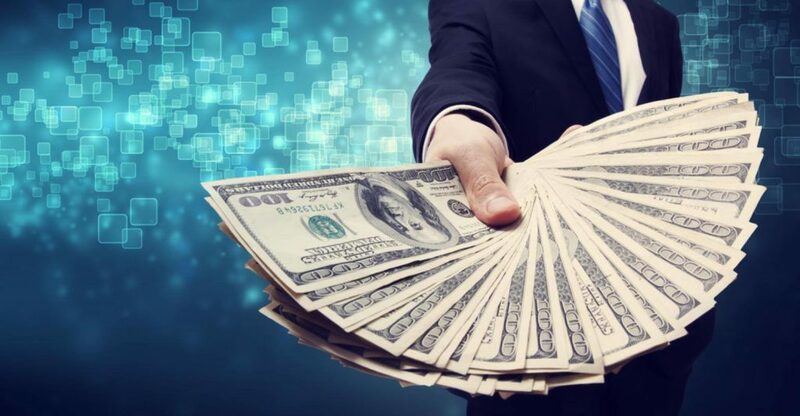 Therefore, it is worth paying attention to the results of the fund's work in the past, as well as to the area of ​​investment in which a particular fund specializes. Since mutual funds invest in stocks and bonds, they put investors at higher risk than all the previously listed investment options. That is, there is a possibility of losing money invested in a mutual fund. But mutual funds, as a rule, provide higher returns, especially in the long run. The fund can invest in hundreds of different companies, and this significantly reduces the risk compared to investing in a single company. Buying a share in a mutual fund may require payment of a brokerage commission. If possible, look for mutual funds that do not require a commission fee (no-load or no-fee fund). A far more risky investment option is to buy shares in a separate company. Although it can make a profit, it is not worth investing all your capital into individual stocks. Before buying stocks, consider whether you should use the services of an experienced stockbroker. The broker will tell you which stocks to buy and at what point to sell them. He can also carry out exchange transactions for you. Naturally, for a fee. 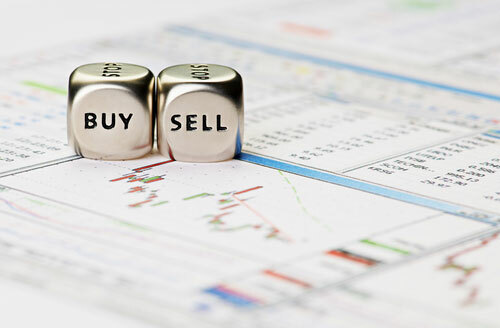 With the development of the Internet, many people have been able to independently buy and sell stocks on special websites. You can easily register for any of these online services if you have a bank account and social security number. For an additional fee, you will even be given the opportunity to communicate with a stockbroker. Online exchanges provide good tools for analyzing market conditions. However, if you are new to the market and make decisions without a broker’s hints, you significantly increase the risk of losing your investment. The United States is a country of immigrants who have succeeded. Buying residential and commercial property by investors outside the United States has always been an interesting business, involving both the possibility of high income and pitfalls. Foreigners can invest in almost any American real estate - in houses, apartments, commercial property. Of course, we recommend consulting with professionals located within the United States and the territory where you are interested in investing.